Nakia Brown led the effort to have her school become the first elementary school in Kentucky to receive the Kentucky Green and Healthy School certification. She also mentored another school in the district to achieve the same designation, led a Community Earth Day, and continues to lead the school’s Green Club, among other efforts. Active in the Kentucky Association of Environmental Education and PLT, she even painted her classroom bright green to emphasize the “green” aspects of her teaching. Nakia was named National PLT Outstanding Educator Honoree in 2014. Kelly Gallo created a Green Council composed of students and parent volunteers that oversees the school’s recycling program and sponsors other environmental activities. She also received a PLT GreenWorks! grant to support students in the creation of a butterfly garden, and began a watershed festival that has turned into a community event. She also advises the school’s award-winning Envirothon teams. Previously a classroom teacher, Kelly now organizes citizen science projects and other activities for students in grades K-8, often using PLT resources. She also has developed resource documents for other charter schools in the state about how to integrate environmental education and place-based education into existing curricula. Kelly was named National PLT Outstanding Educator Honoree in 2014. Gail Kovach does whatever she can to help her students attend a week-long environmental education camp. In addition to working with her own students, she helps her teacher colleagues integrate PLT into their lessons. For example, she worked with first and second grade teachers to start a school garden project, and with a math teacher to use PLT lessons to teach measurement in the garden. She finds ways to get students outdoors using inquiry-based activities. Gail rarely passes up an educational opportunity that focuses on the natural world. She also pursues continuing education provided by PLT and other environmental education programs to develop her teaching skills and expand her knowledge base. Gail was named National PLT Outstanding Educator Honoree in 2013. 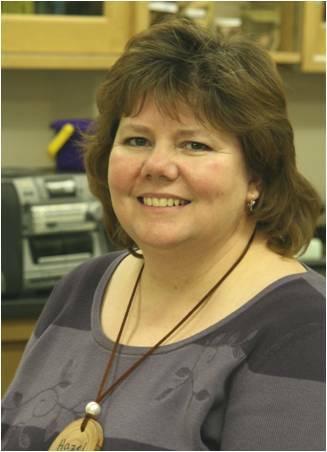 Kathy Rusert teaches science in grades 7 and 8, science labs in grades 5 and 6, and remedial reading in the Acorn School District in Mena, Arkansas. On any given day, students may be dissecting rats, testing pH levels, or working in the outdoor classroom that she was instrumental in creating. She believes in hands-on, interdisciplinary education and uses PLT to make the learning fun and meaningful. Kathy regularly partners with area businesses and nonprofits to further her students’ learning through field trips, research, and community service. She also teaches a Methods of Teaching Science for Southern Arkansas University that introduces future teachers to PLT. She has been a freelance writer for PBS Teaching Source, and her classes have been recognized in many magazines. Her awards include Wal-Mart Teacher of the Year in 2005 and Outstanding Arkansas PLT Teacher of the Year in 2011. Kathy was named National PLT Outstanding Educator in 2012. 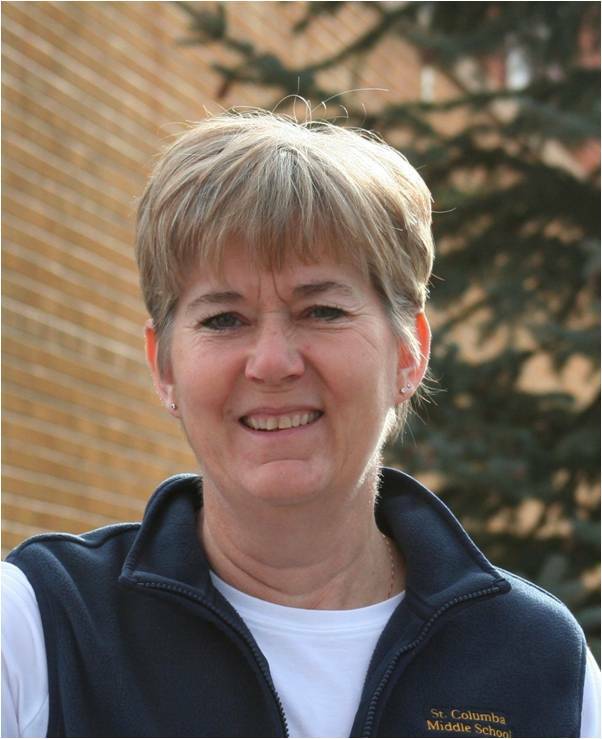 Lu Boren teaches earth science, chemistry, life science, and other subjects to students in grades 6, 7, and 8 at St. Columba School in Durango, Colorado. Lu was first introduced to PLT at a fire ecology workshop soon after the large Missionary Ridge fire raged near Durango. She started using PLT with her classes and, when she saw how much her students benefited, never looked back. 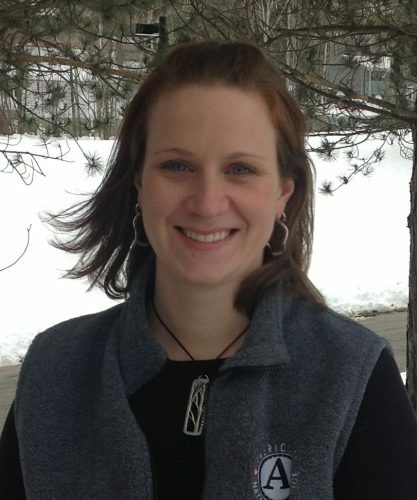 She uses environmental topics and PLT activities to wholly engage her students in their learning, for example through studies of forest management, fire ecology, and water quality, which has had a direct impact on students’ interest in science and environmental studies. Her enthusiasm and approach also inspires fellow educators to get students involved in environmental stewardship and service-learning projects. Recognizing that the long distances from Durango to other parts of the state for PLT workshops prevent many teachers from getting involved, Lu became a Colorado PLT Facilitator in 2007. Now she conducts PLT workshops for teachers in her area. Her enthusiasm for and knowledge of PLT has made her the “point person” for other facilitators and teachers in southwestern Colorado. Through her efforts, St. Columba became a PLT GreenSchool in 2011. She was honored as Outstanding PLT Educator in Colorado in 2009. Lu Boren was named a National PLT Outstanding Educator Honoree in 2010 and National PLT Outstanding Educator in 2012. Every few weeks, Krissy Varness poses an environmental problem to her students and asks them to debate possible solutions to the issue, making the issues come alive for her students. As a teacher in a new “green” school building, Krissy has taken the lead in introducing students to the environment-related features on campus. She co-sponsors the school’s Green Club and has incorporated PLT’s Energy & Society into her curriculum. At a previous school where Krissy taught seventh grade, she brought her students outdoors to learn math concepts. She has been instrumental in supporting the growth of PLT in Nevada. She is a member of the Advisory Board and the 2009 Standards Correlation Committee. Since Krissy was introduced to PLT in 2009, much of Nevada PLT’s rejuvenated growth is thanks to her advocacy and energy. Krissy was named National PLT Outstanding Educator Honoree in 2010. Beatrice (Bea) Long teaches eighth grade science at Seabrook Intermediate, where her classroom is filled with books, posters, and resources that make nature come alive for students. A fellow teacher notes, “If you are lucky, you will go into her classroom and see a chrysalis hatching, or the release of a butterfly.” Bea’s philosophy is to bring students outside, but when that is not possible, she brings the outdoors in. At the same time, Bea knows that concrete learning results from these experiences. At her previous school, she helped integrate PLT in all grades, which led to significantly increased test scores on the Texas Assessment of Knowledge and Skills (TAKS). At Seabrook last year, the eighth graders achieved a 93% passing rate on the TAKS, and for the first time, the school received an exemplary score. Bea and her colleagues credit success to the fact that all teachers are PLT trained and use PLT in their daily lessons. 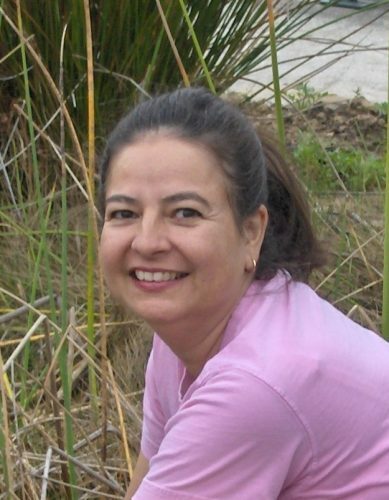 Bea is also part of the Environmental Institute of Houston (EIH)/University of Houston-Clear Lake collaborative, where she serves as a Science Teacher Mentor, Cadre Member, and Instructional Team Leader. She participates in an EIH School Habitat Demonstration Lab that was funded in part by a PLT GreenWorks! grant. She has volunteered countless hours planting and maintaining the habitat and shows colleagues how to use the lab as a teaching tool. As an adjunct professor at the University of Houston, she teaches a Science Methods class to pre-service teachers, presenting ways to incorporate PLT and other environmental education activities into teaching. These new teachers leave the course with a PLT Energy & Society Kit and the knowledge and comfort to be able to use it with their students. Bea was named National PLT Outstanding Educator in 2009. Sheryl Crain Holliday describes herself as a “science teacher at heart and always will be.” Involved with environmental education for many years, she found PLT to be a natural fit after participating in her first workshop in 2003, through the Louisiana Forestry Tour for Teachers. The next year, she was back as a volunteer, and she has returned on her own accord ever since. She also trains teachers at her own school and elsewhere in the district. Sheryl is an expert at using PLT activities that encourage participation and result in students experiencing academic success. She has adapted several PLT activities to use with GPS receivers, thus strengthening students’ use of this technology. Her colleagues note that her enthusiasm and creativity turn students on to math and science. 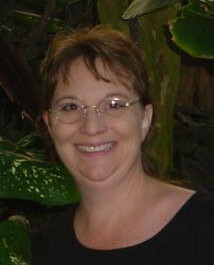 Sheryl was named National PLT Outstanding Educator Honoree in 2009. Pam Wilson, a former classroom teacher and Forest Service interpreter, continues to use PLT activities as a substitute teacher with grades K-8. She also volunteers with Oregon Trout’s Salmon Watch program, often to teach about local watershed issues. She is also a well-respected facilitator of the Oregon Natural Resources Education Program. After discovering PLT in the mid-1980s, she became an enthusiastic facilitator and has since used PLT with both kids and adults. Her experience and enthusiasm to share serve her well as she teaches new generations of teachers about PLT at Linn Benton Community College and at Oregon State University. 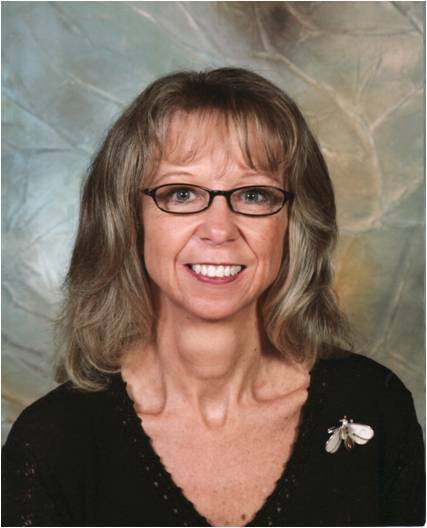 Pam was named National PLT Outstanding Educator Honoree in 2009. Cherie Wyatt’s students consistently score above the state average on the science portion of their state assessment tests. Cherie, who teaches life science and physical science to seventh and eighth graders at Burlington Middle School in Burlington, Colorado, infuses PLT and other environmental education materials into her lessons, often taking her students outside to reinforce classroom learning. For example, her students helped plant milkweed in a vacant lot fronting the school to create a habitat for monarch butterflies. Cherie initiated a now-annual water festival for her students in which eighth graders helped teach younger students about water resources. She led all her eighth grade students through five activities, after which they chose one to present to small groups of fifth, sixth, and seventh graders. In addition, Cherie has a strong commitment to helping other teachers. She organizes and presents professional development workshops to fellow educators, as well as to pre-service teachers at the University of Northern Colorado. She introduces them to high-quality environmental education materials and teaching practices and arranges speakers on general science, elementary science, and secondary science to increase teachers’ understanding of ecological concepts and their ability to incorporate related activities into the classroom. Four years ago, Cherie helped create a program for teachers called the High Plains TEN (Teaching Environmental-Science Naturally), which demonstrates how to make better use of local resources and area experts to improve student learning. Each year, a different theme is chosen for a four-day, two-credit class that introduces teachers to speakers, gives them field experiences at nearby sites, provides them with environmental education materials, and mentors them to help them integrate environmental education into their curriculum. Cherie is an active member of the Colorado Alliance for Environmental Education, the National Science Teachers Association, the National Wildlife Federation, the Colorado Association of Science Teachers, and the Colorado Association of Biology Teachers. Cherie was named National PLT Outstanding Educator in 2008. Susan Ward has been involved with PLT since the start of her teaching career in the late 1980s, when she helped field-test many of the activities that became part of the revised PLT PreK-8 Guide. She uses PLT with her seventh grade science students on field excursions, camping trips, and in the outdoor classrooms and gardens that she helped create at her school, Whittemore Park Middle School in Conway, South Carolina. In 2005, Susan worked with the Horry County School District to get PLT activities incorporated into the curriculum as examples of how to include the natural environment within state standards and, as a result, increase student achievement scores. She trained all the district’s middle school science teachers to use PLT activities effectively. She has also conducted many other PLT workshops, training over 200 educators in the Coastal area of South Carolina, as well as Girl Scout leaders. At Whittemore Park and two other schools where she has also been a teacher, Daisy Elementary and Loris Middle, Susan has launched school-wide recycling programs for paper, plastics, and metal. She teaches students to conserve energy, and takes them on field trips to the Horry County Waste Management site to make them more aware of their civic responsibility as environmental stewards. At Daisy Elementary School, Susan helped to develop and maintain a nature trail and led her students in the planning and creation of a backyard habitat. At Loris Middle School, she created an outdoor classroom area and worked with her students to create a garden for environmental studies. For the past seven years, Susan has presented her personal experiences using PLT to science teachers attending the South Carolina Science Conference. She helped correlate PLT materials to South Carolina’s curriculum standards and has continually provided leadership within the South Carolina PLT program. Susan presently serves on the South Carolina PLT Steering Committee as an educational representative, a position she has held for the last two years. Susan was named National PLT Outstanding Educator in 2008. Brita Hampton was first trained in PLT in 2004 when she arranged a workshop for 25 teachers from six Catholic schools. Since then, she has organized numerous environmental education trainings for teachers at her school, Star of the Sea Regional Catholic School in Virginia Beach, and other area schools. As the school’s Science Coordinator, Brita engages teachers and students at all grade levels in PLT and other environmental education activities. She finds ways to involve her students in the community, such as asking them to present and display their work at local professional conferences. Brita also teaches science to grades 6-8. In May 2006, over 30 of the school’s students from all nine grade levels presented at a general session during PLT’s International Coordinators’ Conference in Virginia Beach. The students shared their learning experiences from the six PLT activities they had completed that semester in their classrooms. They provided PLT state coordinators, facilitators, and educators from around the country with classroom-tested feedback on PLT’s revised PreK-8 Environmental Education Activity Guide. In 2006, Brita attended a week-long Forestry Camp sponsored by the Virginia Department of Forestry that included advanced training in PLT. When she returned, she implemented several activities in her Summer Science Program and facilitated a workshop for other teachers to share what she had learned. As a result, Brita and other Star of the Sea teachers regularly incorporate PLT activities, resources, and ideas into their classes and their students now spend more time learning outdoors. Brita was named National PLT Outstanding Educator in 2008. Jim Chandler has been involved in environmental education for 30 years and has been a PLT facilitator since 1988. He is an innovator of a wide range of ongoing formal and non-formal education programs that use PLT materials to increase students’ understanding of the forest environment and resource conservation. In his current position as a consulting teacher in science with the Auburn School Department, he administers the K-8 science curriculum and arranges professional development for 11 schools in Auburn, Maine. PLT is incorporated throughout the curriculum and most of the teachers have been trained in PLT. He is also Director of the Auburn Land Lab, an environmental center serving schools in central Maine that uses the environment as a context for learning for more than 3,500 visiting K-12 students each year and for coaching Canon Envirothon teams. Jim brought the Envirothon program (North America’s largest high school environmental education competition) into Maine in 1989. Today, 80 teams, representing one third of the state’s high schools, participate each year. 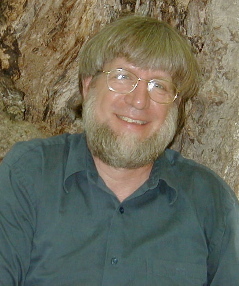 Jim served as Secretary of Canon Envirothon from 1996 to 2002, helping to expand the program to international prominence, as well as developing educational standards and judging rubrics. For 10 years beginning in 1987, Jim started a variety of educational and conservation programs for the Oxford County Soil and Water Conservation District that are ongoing to this day—for example, Kids for Trees (a Christmas tree-growing project), a Forestry Demonstration Trail based on the PLT model at the Maine Conservation School, and an annual Agriculture Education Day at the Oxford County Fair. In the late 1990s, Jim taught seventh grade science at Oxford Hills Middle School. Jim is an active board member and two-term past president of the Maine Environmental Education Association. In this role, he has helped develop state-wide workshops showing how environmental education can be used to achieve Maine Learning Results, the state’s education standards. Now he is coordinating an effort to involve the environmental education community in the mandated Maine Learning Results Review. 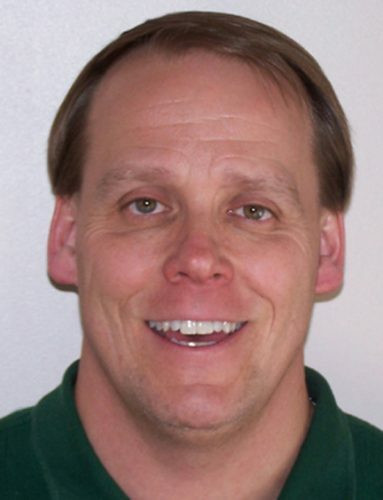 Jim was named National PLT Outstanding Educator in 2007. Hazel Scharosch is a classroom teacher in a one-room school house! Located in a ranching community, Red Creek Elementary School in Casper, Wyoming, has one multi-age classroom for all students. Hazel teaches all subject areas to the school’s kindergarten through sixth grade students, a range of 9-12 students in any given year. She has been teaching in this small rural school for 17 years. Hazel was introduced to PLT 15 years ago at a four-day environmental education workshop hosted in part by two of the original developers of the PLT curriculum. The workshop forever changed her methods of teaching and deepened her commitment to expanding environmental literacy for all. Since then, Hazel has conducted numerous PLT workshops for both classroom teachers and non-formal educators, including Girl Scout leaders, child care providers, and 4-H club members. She has taught a three-day joint PLT, Project WET, and Project Wild workshop at least twice a year every year. She has correlated PLT activities to the Girl Scout Manuals and shown camp counselors how to integrate PLT with Girl Scout activities to enrich learning. Hazel has played a critical role in delivering the PLT program to a wide range of educators across Wyoming for many years. She has recruited new facilitators, helping to almost double the number of trained PLT facilitators in Wyoming and expand PLT into other areas of the state. Hazel uses several outdoor study areas close to her school for hands-on studies and organizes a major environmental field trip for her whole class each year, including her students’ parents and siblings. Hazel is currently serving on Natrona County School District’s Science Adoption Committee, which has a goal of incorporating environmental education into a new science curriculum. Hazel was named National PLT Outstanding Educator in 2007. Gail Milligan uses environmental education to meet her English language arts and literature curriculum requirements. She incorporates PLT’s multi-disciplinary activities in her classroom units, making full use of the extensive reading connections listed at the end of each activity. Ever since she was a child, Gail has loved being outside and, as a teacher, she wants her students to learn about and become lifelong caretakers of nature. Her classroom has recently been relocated to a new building surrounded by asphalt and other buildings, and her goal now is to create a natural area for her school with trees, a garden, and an outdoor classroom. Gail took her first PLT workshop in 1993; she became a PLT facilitator in 2004. She consistently promotes PLT to fellow educators and administrators in her school district and at conferences. Recently, she presented a session on using PLT to teach curriculum literature at the Kentucky Reading Conference. 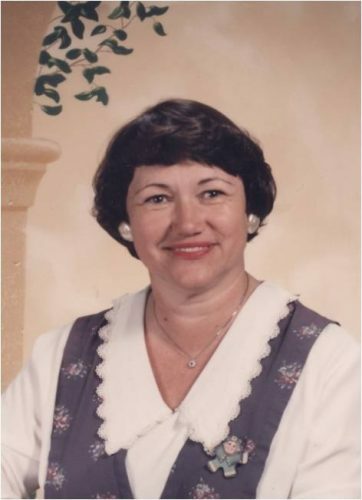 Gail was named National PLT Outstanding Educator Honoree in 2007. 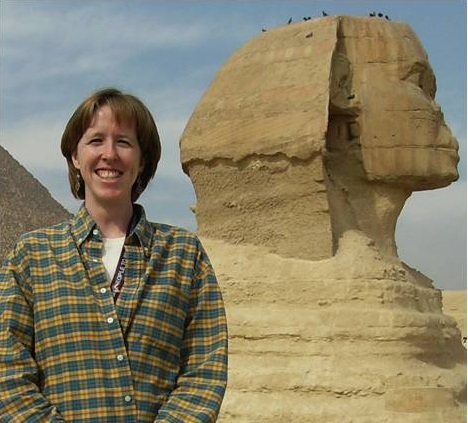 Heidi Campbell, Science and History Teacher, Mabelvale Magnet Middle School, Little Rock, Arkansas. Heidi Campbell teaches science and Arkansas history to grades 6-8 at Mabelvale Magnet Middle School in Little Rock, Arkansas. Most of her students are from an urban area and have no experience being in a natural environment. Heidi, of course, makes a point to change all that! Heidi uses experiments, research projects, field trips, camping trips, and hands-on activities to transform her students’ attitudes and misconceptions and get them accustomed to working outdoors. PLT is an important tool in her bag of tricks. As students progress, Heidi gives them more opportunities to get involved and take ownership in year-round campus projects. They learn to care for the classroom animals, plant trees, landscape the school grounds, keep up the greenhouse, and maintain the koi pond. Each year, Heidi takes her students on a four-day camping trip and helps advanced students design service-learning projects with an environmental emphasis. Heidi trained to be a PLT facilitator in 2002 and averages six teacher-training workshops each year. She has developed new ways of presenting workshops so that teachers can meet the in-service requirements for Arkansas and for No Child Left Behind. She includes technology, literature, and writing skills, along with correlations to Arkansas academic standards so educators know how PLT fits with existing curriculum. To help recruit students to the environmental education strand at her school, each year Heidi organizes a Forest Awareness Day. Her seventh and eighth graders spend nine weeks studying Arkansas’ forests and forest management practices. Heidi’s commitment to her students is extraordinary. She has a real passion for the environment and PLT and it radiates throughout her school. Heidi was named National PLT Outstanding Educator in 2006. Barbara Cook has been a teacher for 29 years and has been involved in environmental education for over 20 years. She teaches science and reading to seventh grade students and computers to seventh and eighth graders at Greenfield Middle School in Greenfield, Ohio. 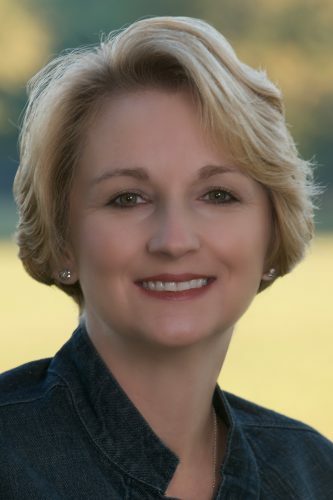 During her career, Barb has held several educational leadership positions, both as a principal and as a superintendent of local school districts. Over the years, her classroom and administrative background have provided invaluable insight into administering PLT and other environmental education programs to formal educators. Barb trained first as a facilitator for Project WILD, then Project Learning Tree, then Project WET, and most recently Food, Land & People. She has facilitated more than a hundred presentations or workshops, reaching over a thousand teachers. For 10 years, Barb has been a member of the Ohio PLT State Steering Committee, and currently she is an executive officer. She has always played a lead role in aligning PLT and other curriculum to Ohio’s latest academic standards. In 2004, Barb participated in a collaborative project between PLT, Project WET, and Project WILD to write and update curriculum correlations that teachers can now easily access from an interactive database on the Ohio Department of Natural Resources website. Barb was selected to help develop and write PLT’s PreK-8 Energy & Society kit. She is working on integrating PLT workshops into classes for pre-service educators at Wilmington College and is assisting the Ohio PLT Coordinator in developing a PLT facilitator mentoring program. Throughout her career as a teacher and administrator, Barb has been a staunch supporter of environmental education in school programming. She is just as at home sitting in a group of preschool children as she is making a professional presentation or talking with the School Board. Barb is known as both a tremendous leader and inspirational teacher. Barb was named National PLT Outstanding Educator in 2006.